Physician practice groups, individual doctors, long-term care facilities and other provider organizations turn to Doerner’s healthcare lawyers for their transactional, regulatory, reimbursement and dispute resolution needs. We have exceptional strength in dealing with peer review and licensing issues and in structuring physician employment arrangements. Often these arise when we advise providers and provider groups on the legal requirements and business realities of mergers, acquisitions or innovative co-management arrangements. When healthcare providers are involved in disciplinary, licensing, reimbursement or commercial disputes, Doerner lawyers offer experienced representation that reflects the sector’s unique regulatory structure. Our team includes an arbitrator with American Health Lawyers Association Alternate Dispute Resolution Service, who is also experienced at advocacy before the Oklahoma Medical Licensing Board. Our firm is uniquely structured to deal with the realities of the Oklahoma healthcare sector. We work effectively with in-house counsel of larger hospitals, and we help physicians deal with day-to-day business issues and pursue new innovations like concierge health practices. Doerner lawyers provide personal attention, and clients have a high comfort level that comes from our in-depth knowledge of their practices. Because we understand the issues unique to healthcare and apply that insight to a practice’s business needs, we are more effective partners for our healthcare clients than are smaller generalist law firms. Represented a physician practice group in a federal fraud/abuse and privacy compliance audit and in developing a related compliance plan. Advised a physician certification board regarding state regulation matters. Represented a long-term care facility in Medicare reimbursement and patient care disputes. Represented a tax-exempt hospital in a sale to a for-profit hospital, including assistance with acquisition of fairness opinion, due diligence and all other matters attendant to the sale. Representation of physicians in practice recruitment negotiations, peer review/medical staff disputes, challenges to post-employment restrictions, challenges to regulatory actions and Medicare reimbursement appeals. Guidance to physician practice groups on merger transaction, hospital co-management arrangements and group dissolutions. Representation in proceedings of the Departments of Health, State Medicaid agency, the Attorney General's and Inspector General's offices, and Centers for Medicare and Medicaid Services (CMS). Opportunity: As the availability of and payment for healthcare services is transformed by market and government forces, some practitioners have found concierge medical service arrangements to be advantageous. Such a practice charges a global fee to provide additional medical services not covered by Medicare reimbursement, while giving patients longer and more frequent access to physician services. 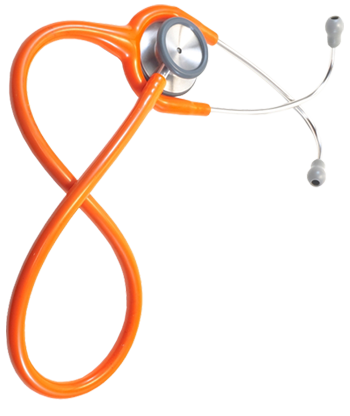 Solution: Doerner healthcare lawyers have the skill and insight to help physicians set up concierge practices. We facilitate structuring the insurance and other financial arrangements, and ensure that the unique limitations that apply to these practices are accommodated. Result: The concierge medical practices we have established are providing an enhanced level of patient care while making it feasible for physicians to maintain financially viable practices that are in full compliance with reimbursement provisions. Opportunity: Doerner has helped facilitate a highly innovative approach to health sector business organization: co-management arrangements in which a physician organization provides clinical oversight services for a hospital service line. In the arrangements that we structure, hospitals receive the physician’s expertise in the management of a clinical institutional service, and the physician realizes additional compensation for providing the service. Solution: Our work in preparing co-management arrangements ensures that all compensation and service agreements between the physicians and health care systems comply with the Anti-Kickback Statute, the Stark Law regulating physician self-referrals and the private inurement and private benefit prohibitions that apply to tax-exempt hospitals. Result: As health care costs continue to increase and as the government and third-party payors encourage hospitals and physicians to collaborate to achieve better patient outcomes, co-management agreements provide opportunity to make these arrangements a successful business arrangement while improving quality of care. In the new environment created by Affordable Care Act and ongoing market pressures for reasonably priced healthcare with quality patient outcomes, Doerner lawyers are on top of the constantly changing regulatory and business environment. Our clients have confidence that when they call us with a healthcare question, we will provide useful and effective counsel. 12.01.10 Healthcare: Is Physician Employment Still the Future? 12.01.10 Healthcare: Significant Risk Assessment: What Constitutes a Breach Under HITECH? 04.01.10 Healthcare: The Eagle Has Landed!